Hold your horses, as the official main trailer for Netflix‘s beloved adult animation BoJack Horseman has just dropped. Season 3 begins with BoJack becoming a bonafide movie star. And he feels AWESOME. For a brief moment, until we soon him grappling with his legacy. BoJack struggles with how he’ll ultimately be remembered by his fans and what lasting impact he’s made on those closest to him, while also trudging through an increasingly turbulent Oscar campaign for his star-making turn in the Secretariat biopic. Plus of course there’ll be plenty of self-loathing, whiskey, failed relationships, silly puns and talking animal jokes, celebrity cameos, and all the other stuff that everybody loves about BoJack Horseman. Fans, rejoice! Everyone’s favourite equine 90s sitcom star is coming back to Netflix for a third season, and it’s sure to be one heck of a ride. Confirmed to return to our screens on July 22nd, the new season of the adult animation will see BoJack (voiced by Will Arnett) grappling with his legacy. Netflix’s BoJack Horseman will return to the on-demand service on Friday, July 17. The dark comedy will return with a new second season comprising twelve episodes. The series stars Will Arnett as BoJack Horseman, a washed-up former sitcom legend in a world where humans and anthropomorphic animals live side by side as equals. He struggles with self-loathing, failed relationships and an alcohol problem. Pretty much like any other former sitcom star. 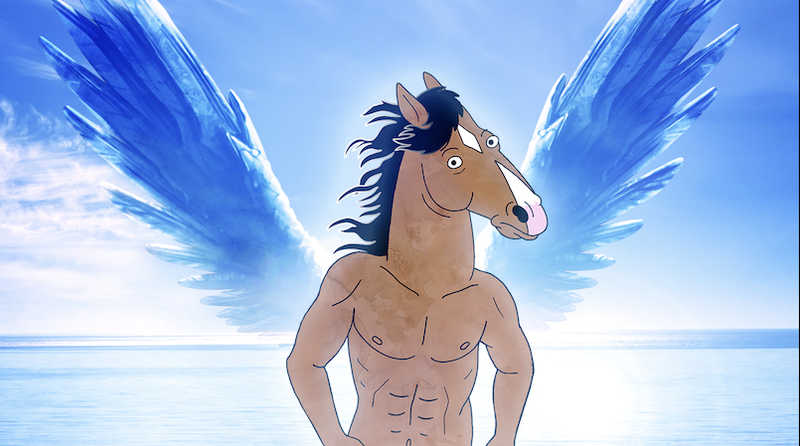 In season two, BoJack is now starring in a movie and attempting to become a better person. Let’s see how that works out for him. BoJack Horseman returns to Netflix on July 17.